Some people think it a small thing to read their horoscopes everyday. Some live by it and even make life threatening decisions by it. I just heard a story this week from a young woman working in a doctor's office. A patient of theirs went by her horoscope to make a decision about her eye condition and refused surgery that could save her and now she is blind. Spiritually this is just, but we as Christians desire to see all men turn to the TRUTH so they might be saved, for they are made in the image and likeness of God. 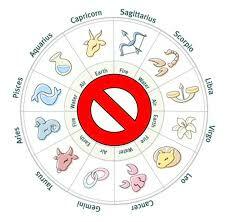 Why is reading horoscopes so injurous might you say ? Because is is entertaining WITCHCRAFT which takes away the glory that belongs only to GOD alone, and gives it to stars, constellations, and the men who are stargazers/astrologers. In entertaining it you entertain demons and invite them in. I had a friend once who was already Christian but due to pressure from her mom, went ONLY ONCE to a fortune teller on Cony Island. The consequence was 20 years of severe battle with depression. She had to be delivered from a familiar spirit. Isa 47:13-15 AMP You are wearied with your many counsels and plans. Let now the astrologers, the stargazers, and the monthly prognosticators stand up and make known to you and save you from the things that shall come upon you [ Babylon ]. 14 Behold, they are like stubble; the fire consumes them. They cannot even deliver themselves from the power of the flame [ much less deliver the nation ]. There is no coal for warming or fire before which to sit! 15 Such to you shall they [ the astrologers and their kind ] be, those with whom you have labored and such their fate, those who have done business with you from your youth; they will wander, every one to his own quarter and in his own direction. No one will save you. Isa 47:13 RSV You are wearied with your many counsels; let them stand forth and save you, those who divide the heavens, who gaze at the stars, who at the new moons predict what shall befall you. Isa 47:12-15 TLB "Call out the demon hordes you've worshiped all these years. Call on them to help you strike deep terror into many hearts again. 13 You have advisors by the ton-your astrologers and stargazers, who try to tell you what the future holds. 14 But they are as useless as dried grass burning in the fire. They cannot even deliver themselves! You'll get no help from them at all. Theirs is no fire to sit beside to make you warm! 15 And all your friends of childhood days shall slip away and disappear, unable to help. Isa 47:13-15 NIV All the counsel you have received has only worn you out! Let your astrologers come forward,those stargazers who make predictions month by month,let them save you from what is coming upon you. 14 Surely they are like stubble;the fire will burn them up. They cannot even save themselves from the power of the flame. Here are no coals to warm anyone;here is no fire to sit by. 15 That is all they can do for you — these you have labored with and trafficked with since childhood.Each of them goes on in his error;there is not one that can save you. Deut 4:19-20 NKJV And take heed, lest you lift your eyes to heaven, and when you see the sun, the moon, and the stars, all the host of heaven, you feel driven to worship them and serve them, which the LORD your God has given to all the peoples under the whole heaven as a heritage. 20 But the LORD has taken you and brought you out of the iron furnace, out of Egypt, to be His people, an inheritance, as you are this day. Deut 18:14 NKJV For these nations which you will dispossess listened to soothsayers and diviners; but as for you, the LORD your God has not appointed such for you. Jer 27:8-10 NKJV Therefore do not listen to your prophets, your diviners, your dreamers, your soothsayers, or your sorcerers, who speak to you, saying, "You shall not serve the king of Babylon." 10 For they prophesy a lie to you, to remove you far from your land; and I will drive you out, and you will perish. Ezek 43:12 NIV "This is the law of the temple: All the surrounding area on top of the mountain will be most holy. Such is the law of the temple. 4 Then they will cry to the LORD, but He will not hear them; He will even hide His face from them at that time, because they have been evil in their deeds. 5 Thus says the LORD concerning the prophets Who make my people stray; Who chant "Peace" while they chew with their teeth, but who prepare war against him who puts nothing into their mouths: 6 "Therefore you shall have night without vision, and you shall have darkness without divination; The sun shall go down on the prophets, and the day shall be dark for them. 7 So the seers shall be ashamed, and the diviners abashed; Indeed they shall all cover their lips; For there is no answer from God." 8 But truly I am full of power by the Spirit of the LORD, and of justice and might, To declare to Jacob his transgression And to Israel his sin. And tell false dreams; They comfort in vain. Therefore the people wend their way like sheep; They are in trouble because there is no shepherd. Babylon, now doomed to ruin, is here justly upbraided with her pride, luxury, and security, in the day of her prosperity, and the confidence she had in her own wisdom and forecast, and particularly in the prognostications and counsels of the astrologers. These things are mentioned both to justify God in bringing these judgments upon her and to mortify her, and put her to so much the greater shame, under these judgments; for, when God comes forth to take vengeance, glory belongs to him, but confusion to the sinner. IV. They are upbraided with their divinations, their magical and astrological arts and sciences, which the Chaldeans, above any other nation, were notorious for, and from them other nations borrowed all their learning of that kind. 1. This is here spoken of as one of their provoking sins, which would bring the judgments of God upon them, v. 9. "These evils shall come upon thee to punish thee for the multitude of thy sorceries, and the great abundance of thy enchantments." Witchcraft is a sin in its own nature exceedingly heinous; it is giving that honour to the devil which is due to God only, making God's enemy our guide and the father of lies our oracle. In Babylon it was a national sin, and had the protection and countenance of the government; conjurors, for aught that appears, were their privy counsellors and prime ministers of state. And shall not God visit for these things? Observe what a multitude, what a great abundance, of sorceries and enchantments there were among them. Such a bewitching sin this was that when it was once admitted it spread like wildfire, and they never knew any end of it; the deceived and the deceivers both increased strangely. 2. It is here spoken of as one of their vain confidences, which they relied much upon, but should be deceived in, for it would not serve so much as to give them notice of the judgments coming, much less to guard against them. (1.) They are here upbraided with the mighty pains they had taken about their sorceries and enchantments: Thou hast laboured in them from thy youth, v. 12. They trained up their young men in these studies, and those that applied themselves to them were indefatigable in their labours about them-reading books, making observations, trying experiments. Well, let them stand up now with their enchantments, and try their skill in the critical moment. Let them make a stand, if they can, in opposition to the invading enemy; let them stand to offer their service to their country; but to what purpose? "Thou art wearied in the multitude of thy counsels of this kind (v. 13); thou hast advised with them all, but hast received no satisfaction from them; the different schemes they have erected, and the different judgments they have given, have but increased thy perplexity and tired thee out." In the multitude of such counsellors there is no safety. (2.) They are upbraided with the variety they had of such kinds of people among them, v. 13. They had their astrologers, or viewers of the heavens, that did not consider them, as David, to behold the wisdom and power of God in them; but, under pretence of foretelling future events by them, they viewed the heavens and forgot him that made them and set their dominion on the earth (Job 38:33), and has himself dominion over them, for he rides on the heavens. They had their star-gazers, who by the motions of the stars, their conjunctions and oppositions, read the doom of states and kingdoms. 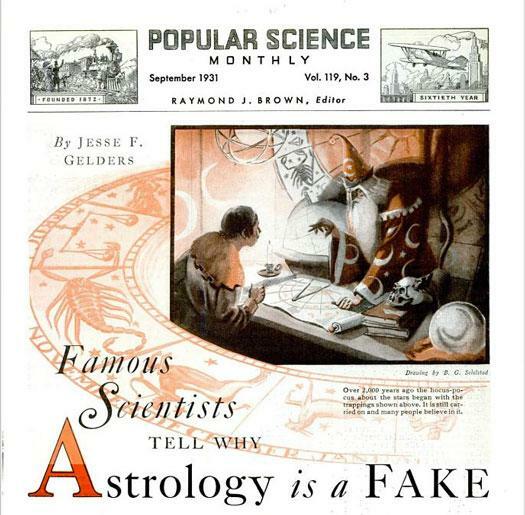 They had their monthly prognosticators, their almanac-makers, that told what weather it should be or what news they should have each month. The great stock they had of these was what they valued themselves much upon; but they were all cheats, and their art was a sham. I confess I see not how the judicial astrology which some now pretend to, by the rules of which they undertake to prophecy concerning things to come, can be distinguished from that of the Chaldeans, nor therefore how it can escape the censure and contempt which this text lays that under; yet I fear there are some who study their almanacs, and regard them and their prognostications, more than their Bibles and the prophecies there. (3.) They are upbraided with the utter inability and insufficiency of all these pretenders to do them any kindness in the day of their distress. Let them see whether with the help of their enchantments they can prevail against their enemies, or profit themselves, inspirit their own forces or dispirit those that come against them, v. 12. Let them see what service those can do them who make a trade of divination: "Let them stand up, and either by their power save thee from these evils that are coming upon thee or by their foresight make such a discovery of them beforehand that thou mayest by needful precautions save thyself;" as Elisha, by notifying to the king of Israel the motions of the Syrian army, enabled him to save himself, not once nor twice, 2 Kings 6:10. This baffling of the diviners was literally fulfilled when, the night that Babylon was taken and Belshazzar slain, all his astrologers, soothsayers, and wise men, were quite nonplussed with the handwriting on the wall that pronounced the fatal sentence, Dan 5:8.